Isaiah 11:1-5: Spirit Dependent Living. and makes our lives more fruitful. As a new Christian we hear about becoming a 'new creature' in Christ (2 Corinthians 5:17) and are excited at the new things God would have for our lives. This 'newness' seems to wear off rather quickly. After a time, we are troubled to see and hear of the typical boring life of the lukewarm Christians around us. More than often this despiteful lukewarm spirit infects us and we too are convinced that Christ is not doing very special things any more - either in our lives or in the lives around us. Catching this mentality is worse than SARS. It affects not only our Christian growth but also our Christian service. The supernatural seems to be stripped from our wonderful Christian lives. Everything seems to depend on how we drive ourselves to read the Bible, go to church and serve others. The newness of the 'new wine' that we see occurring in Christ's life is absent. As a sign of total lack of faith, we even tell others that a compromised Christian life is all that is to be expected. A close study of Isaiah 11:1-5 enables us to regain a proper perspective of Christian life and service. We gain a inside picture of what moved and motivated the Messiah Jesus Christ. This passage brings together the connection of what empowered Christ and what empowers our own lives as His disciples. In essence, we learn what it means to 'walk in the Spirit.' Let's look more closely as to what it means to live a Spirit-dependent life. Then a shoot will spring from the stem of Jesse, And a branch from his roots will bear fruit. And the Spirit of the LORD will rest on Him, The spirit of wisdom and understanding, The spirit of counsel and strength, The spirit of knowledge and the fear of the LORD. And He will delight in the fear of the LORD, And He will not judge by what His eyes see, Nor make a decision by what His ears hear; But with righteousness He will judge the poor, And decide with fairness for the afflicted of the earth; And He will strike the earth with the rod of His mouth, And with the breath of His lips He will slay the wicked. Also righteousness will be the belt about His loins, And faithfulness the belt about His waist. (Isaiah 11:1-5, NASB). To make us more conscious of God's will and increasingly dependent upon the Holy Spirit in all that we do. Dear Father in Heaven, there is no doubt that I have wasted too much time looking at this world through my own eyes rather than seeing it by the Spirit's eyes. After reading Isaiah 11 above, I sense my blindness and foolishness. I have worked so hard but with little regard to how I need the Holy Spirit to work through my life. Please forgive me for wasting so much time and spending it in my own strength. I know I have let too many people down. The world doesn't need more world in religious garments but Christ unveiled and lived out before them. Come now Holy Spirit and fill me. Teach me how to live like Jesus. Let me be an instrument that is always being used by your Holy Spirit. In Christ's glorious Name we pray, Amen. We spend time together in faith to be transformed by the Lord. Our hope is that after this time together before the Lord, He will use us more effectively, wherever that might be. We are not gaining just some knowledge about God;we are getting to know God more. He is deepening our commitments and enriching our lives. Do you remember how the Lord Jesus called the disciples aside? First there was the stepping from the world and then there was the stepping into His presence. Both happened simultaneously. If you are preoccupied with the world, then you cannot get close to God. Jesus asked for their whole lives. Indeed there were many that kept their original occupations, but in a true sense they had to give up that occupation and received it back. Isaiah 11 shares the keys needed in drawing close to God. If we are going to be effective servants of Christ, then we had better learn how to have Christ dwell in us. We know that this is done by the Spirit of God. We are to walk and be filled with the Spirit. The same Spirit that anointed Jesus is to dwell within us. This is why we are called Christians which literally means anointed ones (1 John 2:27). God accomplished so much in the life of Christ because the Holy Spirit constantly filled Him. The key to our effective and growing Christian lives will be to how much we understand and embrace the Spirit's work in our lives. It is not a question as to whether we have the Spirit or not. All of God's people have the Holy Spirit (Ephesians 1:13-14). The key is how much do we yield our lives to the wonderful Spirit of God. After all, all our lives we have been trained to live with our eyes, ears and minds. We need to change our orientation and live after the Holy Spirit. In a sense one might say that our study is describing the Spirit-filled Christian. The Spirit encourages all Christians to fully respond to God in their lives. Let's see what this is all about. The Christian is only as strong as He is in Christ. The Christian is not the root. We are not the trunk. We are simply the branches that grow from this tree. "I ((Jesus) am the vine, you are the branches; he who abides in Me, and I in him, he bears much fruit; for apart from Me you can do nothing." (John 15:5, NASB). Power and vision for the church derives from Christ not the church herself and especially not in the organized church. God's people depend upon Christ. Isaiah 11:1 speaks about the Messianic promise of the then coming Messiah. King David was this promised son of Jesse. Jesus of Nazareth was this promised descendant of King David, both through his father and mother. The church is this great number of branches that spring out of their faith and life in this Christ. God is continually working through His Spirit to fill it to its fullest measure. Ephesians calls these people holy ones (saints) because they are set apart in Christ. Every genuine Christian has his or her 'faith roots' in Christ. In Isaiah 11:2 we find the key to understanding the life of Christ. When we look at His life as revealed in the Gospels, we recognize that God used Him in an amazing way ministering to the people. Just think how many of us could step into the same situations as Christ did, but leave any real long lasting worthy impact. We need to be more like Christ. Now some of us might wonder if this verse speaks about Christ Jesus, why are we saying it has to do with us? There are numerous ways to answer this important question. For if we think it only has to do with the way Christ lived, then we will not seriously apply it to our lives. We will choose two reasons. 1) We first see that the anointing that Christ received in sight of many at His baptism is the same anointing by the Holy Spirit that Christians receive. The Holy Spirit is the Holy Spirit mentioned above in Isaiah 11:2. 2) Secondly, we saw that when the disciples displayed a filling of the Holy Spirit in early Acts, that they acted in a way that marked them to be of Christ. This was not limited to the twelve apostles but was upon all of the disciples. This Spirit walk was from then on a characteristic of God's people. "If we live by the Spirit, let us also walk by the Spirit." (Galatians 5:25). Instead of wondering whether we are to be Spirit led, let us think what it means for us to be Spirit filled. Let us first make some general statements and then discuss these seven marks in a little detail. Like the air animates a person, so the Spirit of God is to animate our lives. Air and spirit are the same words in both Hebrew and Greek. If we merely walk with physical air, our beings can function but very impaired. We need the Spirit of God to move and animate our spiritual beings. Those without the Spirit of God are spiritually dead. That spiritual aspect of their lives is not functioning. And you were dead in your trespasses and sins, in which you formerly walked according to the course of this world, according to the prince of the power of the air, of the spirit that is now working in the sons of disobedience. (Ephesians 2:1,2, NASB). When a person becomes a Christian, the Spirit of God rushes in and makes the spiritual nature function. The physical and spiritual functions were designed to work jointly but because we have been so used to using our physical features, we place all our confidence in them. The body is good for opening a can of sauce or bringing to ones lips, but the spiritual nature dominated by the Spirit of God is needed to accomplish spiritual activities. These spiritual matters are clearly mentioned in Isaiah 11:3-5. Here in Isaiah 11:2, however, we see the way the Spirit of God works in a person. One can debate whether a capital 'S' (Spirit) or a small 's' (spirit) should be used. It is rather immaterial. I think it is clearer for English speakers to use 'Spirit.' The word is used four times and it is the same each time. The Hebrew does not have capital and small letters. Even if one wants to capitalize the first usage of 'Spirit' and make the others 'spirit,' we will still say that it is the same Spirit doing these things. This is undeniable and it is confirmed in the way the Holy Spirit imparts gifts to His people (cf. 1 Corinthians 12). Our far bigger problem is to train ourselves to be attentive to and follow the Spirit of God. Most of us live in a very secular state. We are often insensitive to the Spirit's working. If we prayed and sought our Father's will like Jesus, we would better learn how to walk in the Spirit. As we go through this list, we will note that things like wisdom, understanding, etc. are things we can have to some degree without the Spirit of God. In Isaiah 11 we are being introduced to another kind of wisdom, understanding and counsel. There is a physical strength but because of the Holy Spirit there is a spiritual strength. There is a counsel from man but also a counsel from the Spirit of God. The following chart helps outline the difference of the Holy Spirit's work in each of the seven areas mentioned. The presence of God occupies a person and influences His thoughts, decisions and relationship with others. The absence of God (spiritually dead) leaves only the body and a darkened mind (flesh) to dictate all decisions. Special ability from God to connect the consequences of what has been done with what is being or will be done. The accumulation of discernment built up over the years of experience and knowledge. Special discernment from God enabling a person to grasp the proper perspective of a certain situation. Grasping an acceptable perspective of a situation by ones accumulated knowledge of a circumstance. Special words of wisdom from the Spirit of God enabling one to bring special words of comfort, healing and warning. Words and advice stemming from what one has learned and experienced in the world. Special divine strength given to those in need to empower them to do God's will when their physical bodies would otherwise give up. The ability to do what my body and stress levels tolerates. Special insight brought to ones attention that is needed to handle a certain situation properly. Guessing what is needed from ones learning and experience. The special awe of God providing guidance and caution in times of temptation leading a person always to trust in the Lord. The fear of man influences their decisions rather than what God says or is doing. On the left we see a person functioning in this world but is also living within God's dimension. He is able to equally function in both worlds at the same time. The person on the right is the non-Christian or resistant Christian who functions without the Spirit of God in his life. What we see in the Book of Acts is the way the church should be operating when His people are dependent on the Spirit of God. Are you conscious of God's supernatural strength, wisdom and understanding for circumstances that go beyond our regular comprehension and abilities? God has equipped us, but we need to put away our sins and sincerely seek Him for help in learning how to walk in the Spirit. This dependence is increased as we live by the spiritual disciplines of praying, fasting and meditating on God's Holy Word. "And He will delight in the fear of the LORD, and He will not judge by what His eyes see, nor make a decision by what His ears hear; But with righteousness He will judge the poor, And decide with fairness for the afflicted of the earth; And He will strike the earth with the rod of His mouth, And with the breath of His lips He will slay the wicked. 5 Also righteousness will be the belt about His loins, And faithfulness the belt about His waist. Isaiah 11:3-5, NASB. If we share in the anointing, then we share in the works that stem from that anointing. When a person is Spirit–dependent, he will live life differently. Although we might treat Isaiah 11:3-5 as only applying to the life of the Savior Jesus Christ, we are expected to make the logical conclusion that if we share in the anointing, then we share in the works that stem from that anointing. We are to live as Christ's disciples. The disciple of Christ not only has his Master's knowledge but also power. When Jesus sent the seventy forth to evangelize, He expected them to live as He lived. They were His appointees in training. In a similar way we are His ambassadors. Let's note the changes in ones life when He is spiritually alive and alert. We will categorize them into four life changes. The Spirit-filled person does not live in fear but in delight of the awesomeness of God. He is glad he dreads any disobedience on his part. They keep him from evil. Today while driving I the lane was cut off so I pulled in. The Spirit cautioned me that I went too far ahead and then cut in and should have cut in earlier. In this way I would not have been the subject of the murmurs of others. I could have ignored the Spirit's word with me, but by His grace I confessed my aggressiveness and asked for wisdom to know when it is best to cut over in future situations. I delighted in God's work in my soul for otherwise I would have gone on unneccesarily giving offense to others. Although I wrestled in my heart at His prompting, I was glad in the end that He was working in my life. Many Christians cannot think clearly about this topic. Because of bad teaching, they either are too friendly with God or too distant. 1) Those that are too friendly only know God as love. They wrongly conclude that they can buddy up to God and have Him ignore some of their 'quirks.' These same people do not tolerate the wrath of God. 2) The other group has a hard time grasping the delightfulness of the fear of God. They usually tremble under the fear of man. They cannot see God's love and goodness but only His awesome and mighty power. One group is too close; the other too far. They both stem from poor doctrine. The fear of the Lord combines a good respect for God and yet sense His love and goodness at the same time. The first group will not use the phrase 'the fear of the Lord.' It is out of style to them. The second group cannot understand why they should delight in the fear of Jehovah. This is incomprehensible. God's true servant, though, finds God's goodness expressed through the cautious spirit given to a man that causes him to observe God's command and seek His blessing. He refrains from disobedience out of fear of the coming consequences. God is real in His life. Like the reigns of a horse, the fear of the Lord control and lead the Christian into the most effective and fulfilled life possible. He will not judge by what His eyes see, nor make a decision by what His ears hear; but with righteousness He will judge the poor, and decide with fairness for the afflicted of the earth. The resources a person depends upon to make decisions will ultimately control what decisions he makes. The source of information controls a person's thinking. We see this early on when Eve went counter to the Spirit and rested on her own judgment. When the woman saw that the tree was good for food, and that it was a delight to the eyes, and that the tree was desirable to make one wise, she took from its fruit and ate; and she gave also to her husband with her, and he ate. (Genesis 3:6, NASB). Note how her eyes led her into faulty thinking. We cannot trust our senses to give us a right mind to judge matters. The mind forms the battleground where the world battles the Spirit. The world does its best by influencing our senses to control our lives. The Spirit of God combats this by working through the mind of God established by the Word of God. Lust lives on sight and hearing. Lust is the flesh observing what or who it can use. Lust is simply desire but these desires are inflamed by our senses. By seeing or hearing what can or might be obtained our stomach's appetite is stimulated, our sexual senses are aroused and our imaginations are filled with all sorts of thoughts. Our senses serve our bodies but unfortunately they pay service to our flesh nature and bring evil into our lives. Truly, any man that is influenced by what is around him, he cannot truly serve others. His flesh rules him. He is unrighteous. He is a man of the earth. The man of the Spirit has information that is feeding his spiritual nature. This is the opposite of what has been said. Of course, his physical senses still serve his body, but he limits them for higher principles that are given in God's Word. He is not a glutton. He does not look with lust upon women. He does not subject himself to heavy beats and rhythms. Instead he pays full attention to what the Spirit of God is leading him to do. When a man lives by principles of God's Word, he is necessarily not living by the Spirit. For the flesh sets its desire against the Spirit, and the Spirit against the flesh; for these are in opposition to one another, so that you may not do the things that you please. (Galatians 5:17, NASB). Righteous judgment and decisions come from living by God's Word rather than by ones subjective judgment. Counselors who deny their subjects the truth of God are false prophets. The spirit of the world steps and interferes with God's judgments. So the client walks away without God's principles guiding his life. Proper concern for the poor only comes about when ones own flesh desires are not rewarded. Otherwise, the poor will be taken advantage of because of their lack of resources and knowledge. It is a great shame to think how women have been oppressed through the centuries because men serve their own needs above their wives and children. God's principles call the man to stand up for the needs and rights of the oppressed. Righteous decisions and judgments will be made to the degree God's Word affects ones heart. He will strike the earth with the rod of His mouth, And with the breath of His lips He will slay the wicked. The Spirit of God strives against evil. We see this early on in Genesis 6:3. Then the LORD said, My Spirit shall not strive with man forever, because he also is flesh; nevertheless his days shall be one hundred and twenty years. (Genesis 6:3, NASB). This fight has continued on from the Garden of Eve when Satan captured mankind. Jesus was not tolerant of evil. Christ's response was still constrained under the rule that He came to save and not to judge (cf. John 3:17). Judgment would have been easier but He stayed faithful. However, He was very patient and gracious to those who repented from their sins but spoke harshly against those who used righteous words to hide their evil. Let's just take a look at a few verses in which the word 'viper' or poisonous snake is used. But when he saw many of the Pharisees and Sadducees coming for baptism, he said to them, You brood of vipers, who warned you to flee from the wrath to come? (Matthew 3:7; Luke 3:7). ?You brood of vipers, how can you, being evil, speak what is good? For the mouth speaks out of that which fills the heart. (Matthew 12:34). You serpents, you brood of vipers, how shall you escape the sentence of hell? (Matthew 23:33). We think of Jesus Christ speaking words of love, but we seem to forget He knew how to rebuke evil. They were tempered by the context of His redemptive purpose, but they were still there. He brought threats against these people and stated judgment against Jerusalem. And He answered and said to them, Do you not see all these things? Truly I say to you, not one stone here shall be left upon another, which will not be torn down. (Matthew 24:2, NASB). We should note that after this redemptive day, Christ will speak and shake this earth. And in His right hand He held seven stars; and out of His mouth came a sharp two-edged sword; and His face was like the sun shining in its strength. (Revelation 1:16, NASB). And then that lawless one will be revealed whom the Lord will slay with the breath of His mouth and bring to an end by the appearance of His coming; (2 Thessalonians 2:8, NASB). Throughout the NT we see the Spirit–filled men proclaiming God's glory against the wicked. We need only read through the Epistle of Jude or the epistles of John. There are many statements being brought against the wicked, those who know the truth but have turned from it. Although living in a tolerant age can make it difficult, we must force ourselves to follow up the application in our own lives. We need to be careful not to break the redemptive purpose of this age by speaking words of judgment. Jesus restrained Himself and so must we. But they did come forth when the evil ones were actually confusing those seeking the truth. It is in this context that we find judgment coming forth. Do we confront others? Why is it hard to speak to them? How do we deal with those who spread evil against God's people. Think through the Book of Acts and share 1 or 2 examples of how the Spirit led God's servants to bring judgment even in this era of redemption. Righteousness and faithfulness are often used together and represent the integrity of the one filled by God's Spirit. Let's just look at a few of these verses to gain a better sense of their strength. The Rock! His work is perfect, For all His ways are just; A God of faithfulness and without injustice, Righteous and upright is He. (Deuteronomy 32:4, NASB). Before the LORD, for He is coming; For He is coming to judge the earth. He will judge the world in righteousness, And the peoples in His faithfulness. (Psalms 96:13, NASB). (A Psalm of David.) Hear my prayer, O LORD, Give ear to my supplications! Answer me in Thy faithfulness, in Thy righteousness! (Psalms 143:1, NASB). Five times these parallel words were used in Isaiah alone including this one (1:21, 26; 11:5, 16:5, 26:2). Righteousness characterizes living by God's righteous principles here on earth. He would always do what was right and benefited mankind. Faithfulness is the commitment to the truth of God. He is utterly true to what God has promised. They serve as a summary of living completely holy before God, perfect integrity with the will and purpose of God. The belt about his loins or waist is difficult for us to grasp since few of us wear robes. For a warrior the belt, would bring all his weapons and clothing together so that he could properly fight. Those filled with God's Spirit will be men of righteousness and faithfulness. God's Word will dictate their actions, decisions and words rather than the spirit of the world. We see this so clearly in Christ's life as well as those who have been near Him. We might ask why other attributes were not mentioned. One could speculate, but it seems that these two are meant to summarize the essential qualities upon which all others are built. Righteousness speaks of God's standards; faithfulness speaks of integrity before God. These are the qualities that a good society are built upon. Many need to use force to compel the nation to conform. But here, God's Spirit conforms people to the ways of God, that is, the kingdom of God. Week Study: "Ministering in the Spirit"
Increase your awareness and dependence upon the Holy Spirit in your life, ministry and teaching. By reflecting on Christ's ministry through a comparison of Isaiah 11:1-5 and the gospels. Read through John 15:1-16 and study the usage of the word 'abide.' Read through at least 15 of the 'Abiding in Christ' series. Note down all the different ways Jesus Christ was sensitive to His Father's will. Each day this week, choose a gospel passage and meditate on it. Ask the Spirit to teach you from that passage. Especially note what Christ's disciples would learn through that circumstance. Seek the Lord for at least one daily application. We are simply amazed at the teaching of Jesus Christ. Read through the SPIRIT-DEPENDENT TEACHING page. List the 7 principles on excellent teaching. What practical steps can you take to renew your teaching skills? What does it mean to have the Spirit teach us? How can we depend more on the Holy Spirit teaching those we are teaching. Note when you minister to others, how much you have been praying and seeking for help. What steps can you take to implement three suggestions. Extra: If you have access to Bruce Wilkinson's "The 7 Laws to Learning," view that video series or read the book. Answer accompanying questions. Isaiah 11 speaks about the anointing of the Spirit of God. Christ did not alone have the Holy Spirit but so do Christians. Read 1 Corinthians 12 and discuss how the Spirit of God should impact a Christian's life. List the different manifestations of the Holy Spirit (12:7-11). Compare this list with the list in Isaiah 11:2-3 and make some conclusions. What ways have you seen the Spirit of God manifest Himself in your own life? Explain in your own words the difference between Spirit-given wisdom and normal wisdom. Explain the difference between Spirit-given knowledge and normal knowledge. Extra: As you do this study, write down some questions that you would like answered. Check out the answers in Carson's "Showing the Spirit" book on 1 Corinthians 12-14 by Baker publishing. The fear of the Lord is often misunderstood, but we discover that it is key to a good ministry. Read through the 'Fear God Not Man' series and answer the following questions. What is the fear of the Lord? Why is the fear of the Lord so important to a good ministry? How do you see Christ demonstrating the fear of God? How do we grow in the fear of the Lord? What place does the Word of God have with the fear of the Lord? Lastly, relate one or two incidences where the fear of the Lord was very important in some circumstance in your life. Discuss how the fear of the Lord will help a parent properly discipline a child. Guidance takes a number of unexpected turns in our lives. For some, full time ministry is clear from early on. They need to wrestle with obedience and how to follow through on their calling. Others are in the midst of a career and are sensing the Spirit of God leading them. They need to take some large steps of faith to serve the Lord. Regardless of the case, God often has special surprises for us as we ready ourselves for serving Him. Read the Waiting on God for Ministry page and related scripture. Check out the special lessons God had for David. Discuss at least two lessons that you could benefit from. When the Spirit of God works in our lives, we see changes in the way we conduct our lives. Read through the series on Righteousness and answer the following questions. What is righteousness? What words do we use in our language that carries the same meaning? What does it mean to have the 'righteousness of Christ?' How can we obtain this righteousness? How does a spirit of toleration ruin righteous living? How about compromise? Discuss one area of toleration or compromise that you need to eliminate in your own life. What practical steps will you take to do this? The church is subject to Christ, the head. The Spirit of God is on Christ the same way it is upon His church (except in degree perhaps). God's people need to depend upon the Lord for wisdom and understanding. Many of God's people depend upon godless counsel rather than Spirit-counsel. The fear of the Lord is essential to godly living. God's Spirit makes a change on the way His people perceive the world. God's Spirit will always care about the poor, humble and those that are afflicted. A godly person, or Spirit-controlled person, hates sin and its effects. A Spirit-guided person is characterized by righteousness and faithfulness. The church is not dependent upon the Lord for help or guidance except in emergencies. The church often hobbles about in its own resources. She doesn't rely on Christ. It would be similar to a boy trying to live his life without his parents' resources. We need to understand that the church is the fruit of Christ's work. She is totally dependent upon her Lord. Many churches live in a secular mindset only asking God to bless her work rather than to lead her in the work. This is always catastrophic. One can measure ones dependence usually by how one prays dependently upon the Lord. Serve without being Spirit-reliant. We trust our resources, knowledge and experience. Many so-called Christian books are only reworked secular books. They do not drive people to their knees on dependence upon the Lord but instead try to build up their self-confidence. We are not trying to say there are no methods, but some take these methods that God has used and stripped God out of them. Spiritual gifts become natural giftings. Church plants become something a big church just does through its resources. We train others to be self-sufficient rather than Spirit-dependent. Instead of leaning on the close leading of the Holy Spirit as in Isaiah 11:1-5, many are being trained at a great cost in how to handle things on their own. They leave out all the embarrassing humble moments of waiting upon God and instead run through statistics, charts and man's counsel to do what seems noble and good. God gets no glory at what man does on his own. Where is the teaching and training of how to wait on God in prayer? Where do they train you how to submit to authority? We assume the life of Christ is not to be imitated by Christians because they cannot do the same thing. Many have considered Christ's life as merely a symbol of victory rather than a means to obtain a victory. They do not see Christ's holiness and 'Father' dependent to be their way of living. They are not trying to imitate Christ's prayer life. They do not seek God's day to day living. If anything, this is disdained and rejected for a modern so-called Christian lifestyle that has no crosses and is personal rewarding. Who is Jesse? Why is he referred to? Write down the verses in 2 Samuel 7 that gives us a prophecy concerning this matter. Please explain the relevancy of this prophecy to the Messiah and the kingdom of God. List the 7 marks of this special person as listed in Isaiah 11:2. Do you think that this passage can also refer to Christians walking full of God's Spirit? Why or why not? Make sure you connect the passage of 1 Corinthians 12:7-11 with your answer. Describe your personal struggle to live full of God's Spirit since you have become a Christian. How has what other Christians taught you either helped or hurt you in living by the leading of the Holy Spirit? What experiences has God used to build up your dependence upon the Holy Spirit? Is this process related to your spiritual disciplines at all (e.g. devotions, prayer, fasting, meditation, etc.)? List your strongest and weakest area out of the list of seven. 1) Thank the Lord for the strongest area. Describe why that is your strongest area. 2) Thank the Lord that He wants to make you stronger in this weakest area. Write out at least two ways you would respond differently if you were led by the Lord more in this area. Write out a prayer asking Him to help you grow in this area. List the characteristics of those whom the Spirit of God rests. Mention any patterns that one might notice in this list. Identify at least three phrases, concepts or words one is unfamiliar with. Look them up and do your best at capturing their meaning or usage. How is the fear of the Lord? What attitude should one have as he thinks upon the fear of the Lord? Why? Explain how one can make a wise decision if he does not go by what he sees and hears. What is God's treatment of the poor? In what way has the church consistently cared or not cared for the poor? Explain the tension between proclaiming a redemptive message of love and bringing judgment to others. How shall God's people find a good balance? How did Jesus do it? Most of BFF articles such as this one is nicely formatted for printing. 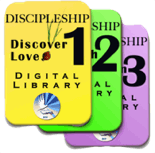 Check out the great number of articles on the BFF Discipleship Training Libraries all for one low cost. Make sure you check out the deal! (1) You were sealed in Him with the Holy Spirit of promise, who is given as a pledge of our inheritance, with a view to the redemption of God's own possession, to the praise of His glory. (2) "And as for you, the anointing which you received from Him abides in you, and you have no need for anyone to teach you; but as His anointing teaches you about all things, and is true and is not a lie, and just as it has taught you, you abide in Him." (1 John 2:27).